As aspiring office-holders in local government units (LGUs) gear up for frenzied campaign activities beginning tomorrow, March 29, a waste and pollution watch group dared all candidates to show their respect for the environment in words and in deeds. “Our nation is badly in need of local leaders who will bravely take up the cudgels for Mother Earth and all creations amid the unfolding climate, chemical and plastic crisis,” said Aileen Lucero, National Coordinator, EcoWaste Coalition. “We need dedicated public servants who will help in enforcing laws and regulations that have been or have to be enacted to protect the public health and environment,” she stressed. “We need leaders who will champion pollution prevention policies and programs to halt the continued degradation of the environment due to wastes and pollutants coming from factories, farms, markets and even from our homes, schools and offices,” she added. 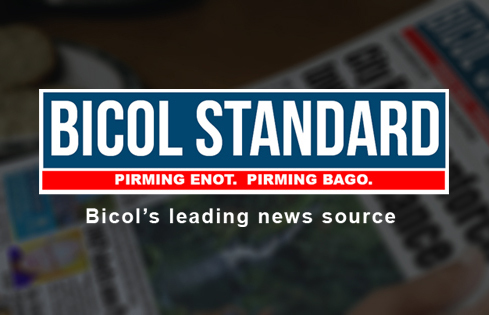 For the information of their constituents, the EcoWaste Coalition urged candidates to add in the protection and preservation of the environment into their campaign platforms. As actions speak louder than words, the group reminded candidates to show their being pro-environment by mounting a clean and green campaign. “Every campaign material used to woo voters – from paper to plastic – has to go somewhere after the election frenzy is over. Some of these materials may be reused, repurposed and recycled, and, regrettably, most may end up being buried or burned and wasted forever,” Lucero said. 1. Stick to lawful propaganda materials and allowable campaign spending. 2. Avoid campaign materials that are toxic, non-reusable or non-recyclable. 3. For paper-based campaign materials, use post-consumer recycled paper. 4. Incorporate this reminder on campaign materials: “Para sa ating kalusugan at kalikasan, huwag pong ikalat, itambak o sunugin" or its equivalent in local languages. 5. Keep trees, lamp posts, and other disallowed places poster-free. 6. Voluntarily take down all illegal campaign materials. 7. Keep campaign meetings and sorties litter-free, plastic-free and smoke-free. 8. Shun confetti, firecrackers and balloons in campaign events, and immediately conduct post-event cleanup. 9. Refrain from using Styrofoam, plastic bags and other single-use containers for meals and drinks. 10. Remove, repurpose or recycle campaign materials immediately after the polling day.